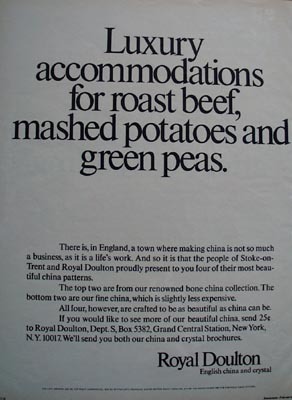 Royal Doulton Luxury Accommodations Ad 1972. This is a February 1972 advertisement. It is a nice color ad from Royal Doulton of New York. Pictures four lovely patterns and it reads, Luxury accommodations for roast beef, mashed potatoes and green peas. In mint condition. Photo is taken through plastic and may show wrinkles or crookedness that is not in the ad. This magazine tear sheet measures 10"" wide by 15"" tall. 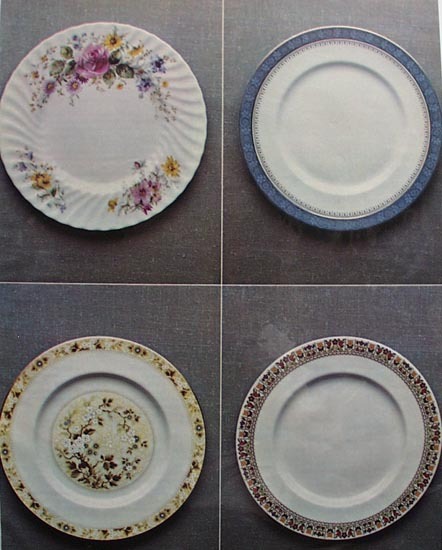 Items Similar To "Royal Doulton Luxury Accommodations Ad 1972"